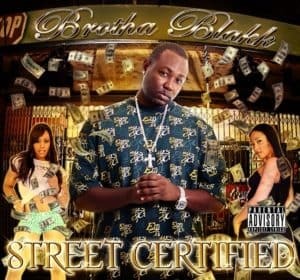 Download the new album Street Certified by Brotha Blakk. 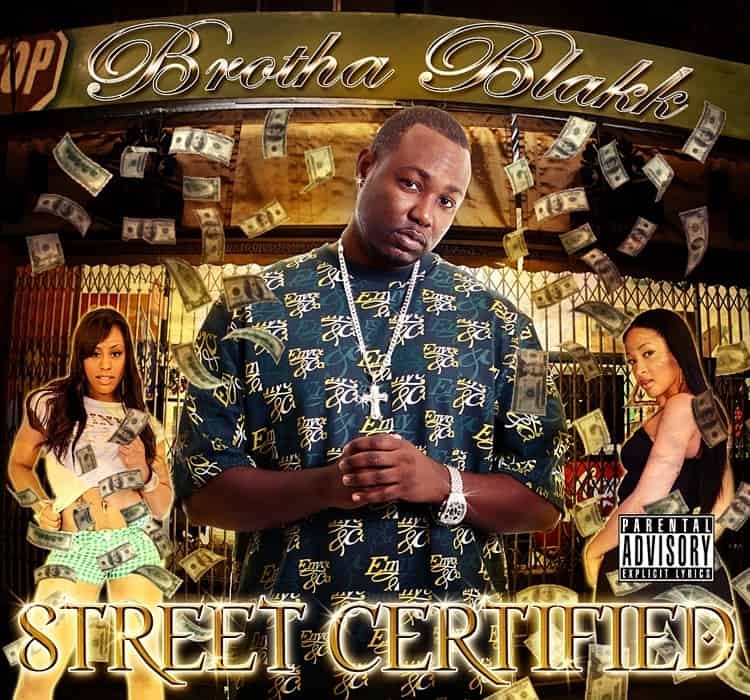 Street Certified is the much anticipated solo releases from West Coast underground artist Brotha Blakk. After multiple release date push backs the album has now been set to be released in December of 2014. This album promises to deliver a little something for every hip-hop fan. Nearly 80 minutes of pure unadulterated street life and turf politics. This is the diary of Brotha Blakk, told over West Coast hard hitting, g-funk influenced synthesized beats. Every emotion and thought has been packed into one fast paced thrill ride through the darkest regions of the inner city streets. Guest features include Adontin, Big Caz, Bugzy Red, El Debarge Jr, Geneva Q, L-Mac tha Don & Tipsy Loc (Royal Family), Mac Jr., Trouble, S.I.C. and Spice 1. The album boasts tight production from some of the valley best producers Gilbert (Gibby) Bracamonte , Mac Jr, Rollmeoh602 and Roko just to name a few.